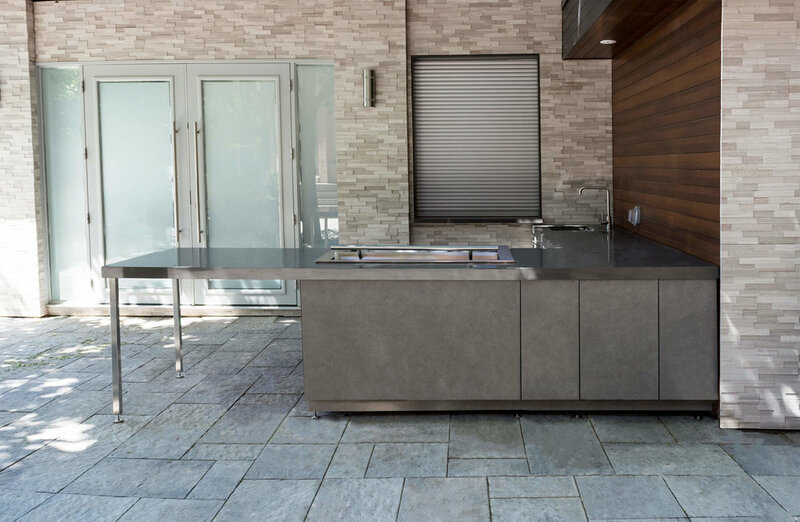 We build sleek contemporary outdoor kitchens that are made to last. Both custom and fully finished kitchens complete with equipment. Give us your dreams, your sketches and your wish list. 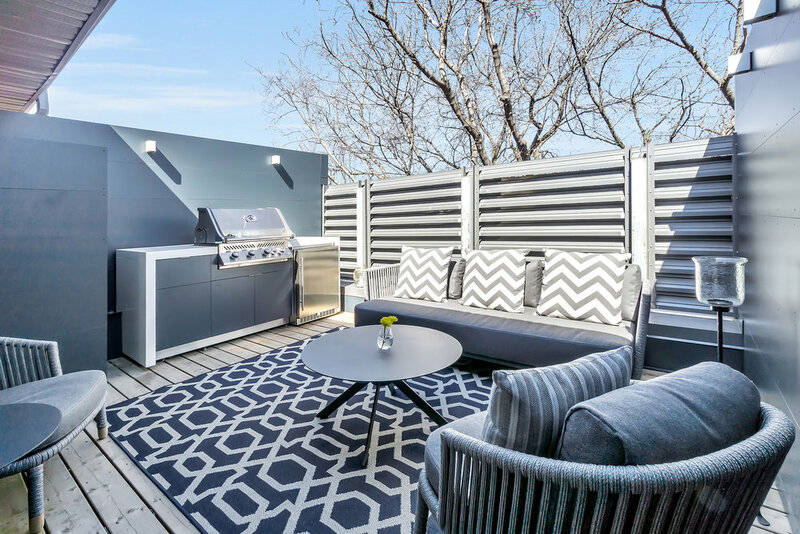 We'll design you a contemporary outdoor kitchen and entertaining space. Garden Living kitchens are sleek and contemporary, rich with food preparation options to please the most demanding culinary artists. And our kitchens are designed to integrate entertaining and dining areas with the kitchen, so that food preparation and entertaining are one seamless, delightful hosting experience. 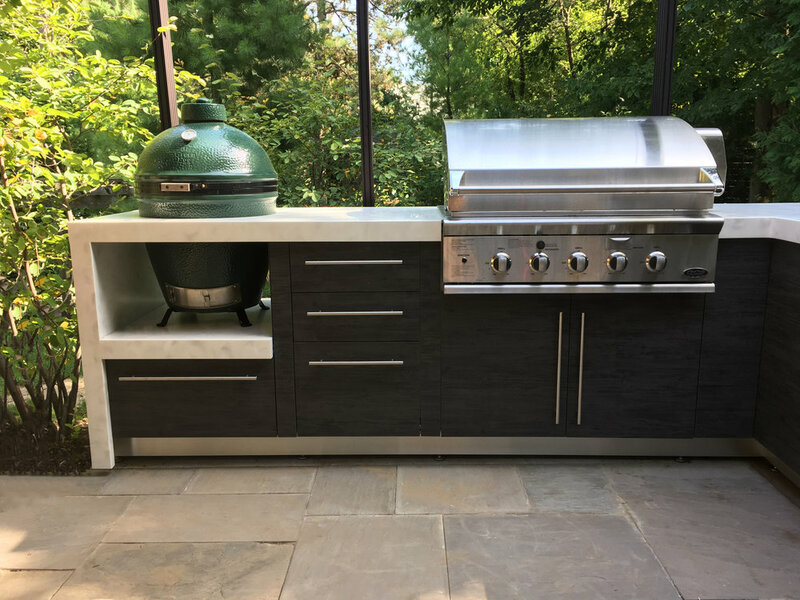 We stand behind all our outdoor kitchens with our Limited Lifetime Warranty. Garden Living kitchens are built on sturdy aluminum frames that are light-weight and completely rust-free. Rather than trapping rain within the structure, Garden Living kitchens drain rain water "to and through". 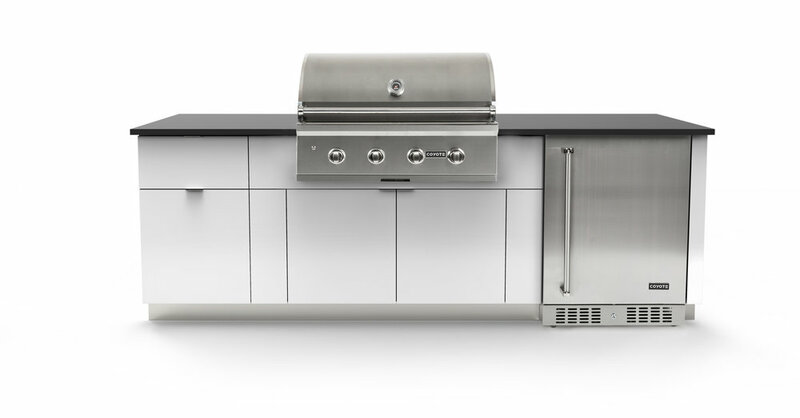 And our Endura® cabinetry panel materials are tried and tested architectural materials impervious to mold, panel expansion or warp, fade and scratch resistant - ensuring a truly enduring outdoor kitchen. If you build it - they will come. In your case, if you can dream it - we'll build it. 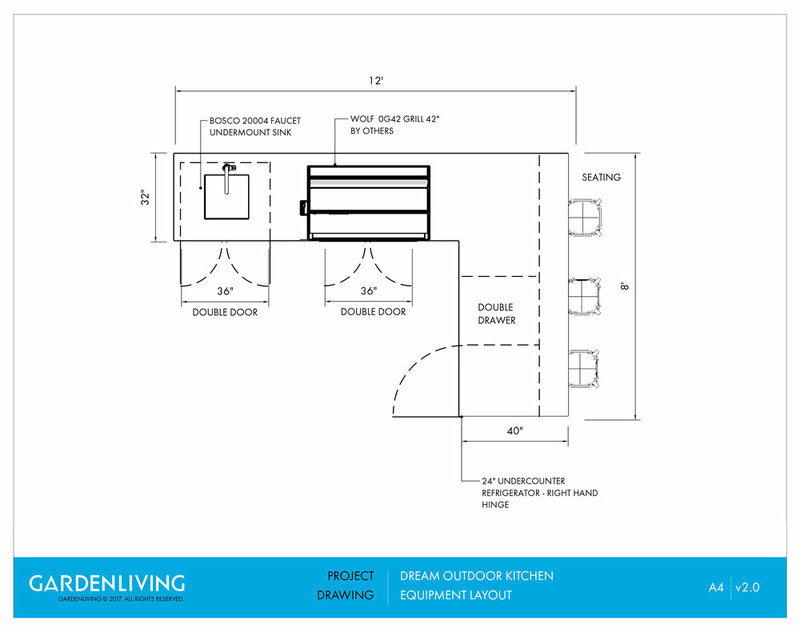 Have your guests in envy with your one of a kind Garden Living Outdoor Kitchen.